Indo ... Part One ! A last minute decision to jump on a plane to get out of Melbz is alwayssss the best! It was time to refresh the brain, get some sun and put that smile back on my dial!! Josh & I decided to do Bali a little different this time. To get out of the big smoke and head to small towns :) And we have had a ball. We’ve spent many hours on a scooter with bags and boards, hammering around the small local streets to the freeways inhaling truck fumes for hrs on end. But it’s ALLL part of the adventure. We started off in beautiful Bingin, which is in a little home stay just near Uluwatu. Everyday we travelled to a new location to check out. Eating at the local Warungs was amazingggg… a whole plate of yummy food including Tempre, tofu dishes, salads and much more for only $3 bucks. What a bargain. 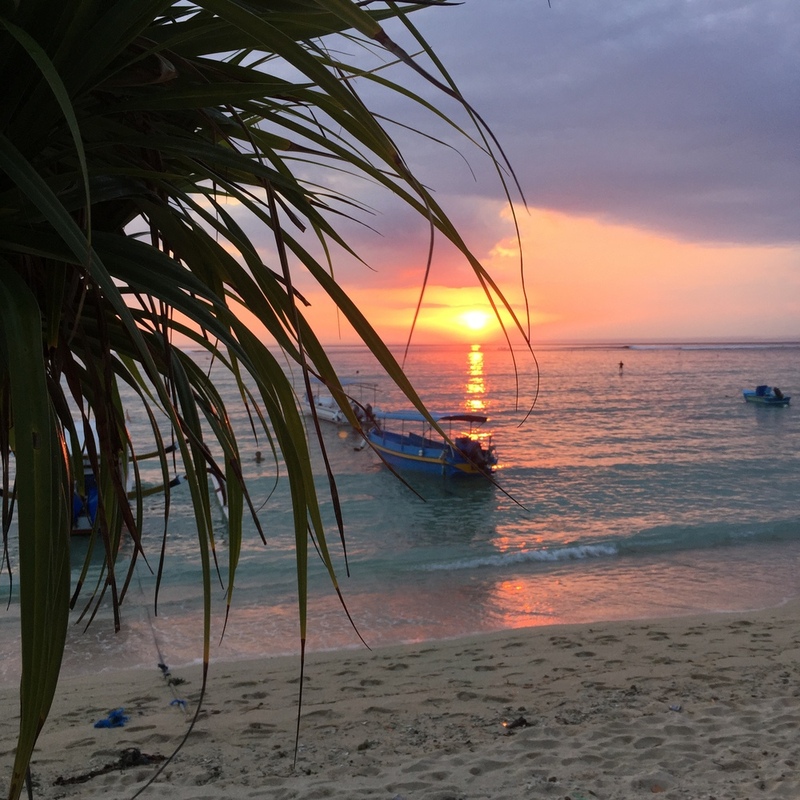 Then off we went to Nusa Lembongan. A beautiful island about 30 mins on a fast boat ride from Bali. Crystal clear water and magical sunsets. I tried to go for a run everyday. The mornings are great if I had the motivation or the arvos before dinner. Either/or both time slots were so hot… I sweated like a pig so very beneficial. Meeting people along the way was the best bit. In a matter of 5 days we met some legends … Nick and Holly from Perth who we started travelling with. Making new friends is important & it’s a value that Josh and I love. I haven’t taken a lot of pictures this trip purely because I am just taking in the serenity and enjoying myself. It's not about proving to the world that you’ve had the best time or that you look the best in bikinis (I don't! )…I prefer to sit back and enjoy! I think this is something that we all need to realise. It's not a game or a race, just ENJOY!